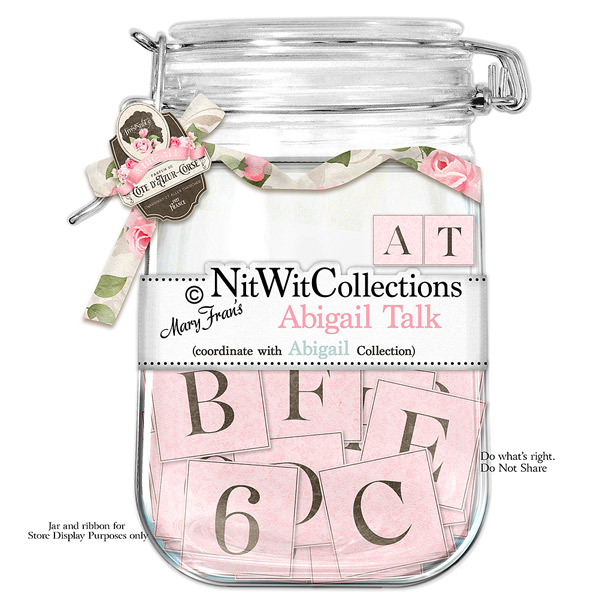 "Abigail" Talk adds charm and grace to your scrapbook layouts, mini albums and cards when using this wonderful alpha to spell an emotion, name, date or place. What is your perfect way to use this?? 1 Alphawit set of uppercase letters, &, blank, exclamation mark, hyphen, question mark, and set of numbers(0 to 9).